The singer and his ex-beauty queen lover were an item few years back. Their relationship produced a four year-old daughter. 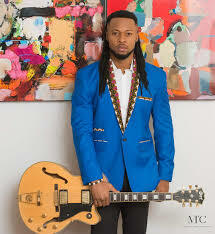 However, Flavour dumped Sandra for former most beautiful girl in Nigeria, Anna Banner, who also bore him a daughter. Meanwhile, the questions on the lips of many are whether the Baby Na Yoka singer is ready to settle down with his first babymama. And if yes, will the singer renege on his earlier claims that he wasn’t going to marry any one of his two baby mamas?